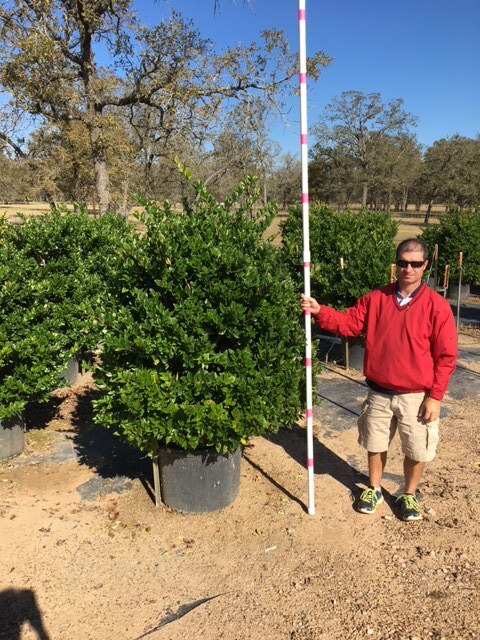 Waxleaf Ligustrum is an evergreen shrub with an upright, dense, and vigorous growth habit. This shrub makes a nice sheared hedge but can also be used as a small tree if trimmed up. 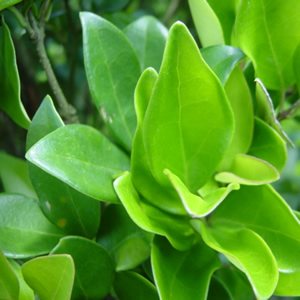 The leaves are dark green, leathery and a obovate, oblong shape. From spring to early summer it produces panicles of fragrant white flowers in panicles which are followed by round black fruit in the fall. Ligustrum is heat, drought, salt, and pollution tolerant, making it an excellent choice for a variety of different landscape situations. Ligustrum japonicum ‘Texanum’ is very similar to the species only it has a more compact and dense growth habit and grows 6-9′ in height.